Joe Lurie recently spoke to a sold-out crowd at the Commonwealth Club of California. In this two-minute excerpt from that presentation, Joe tells the sad story of a woman looking for a job who isn’t hired, at least in part, because of her name. Job applicants with white names needed to send about 10 resumes to get one callback; those with African-American names needed to send around 15 resumes to get one callback. This would suggest either employer prejudice or employer perception that race signals lower productivity. 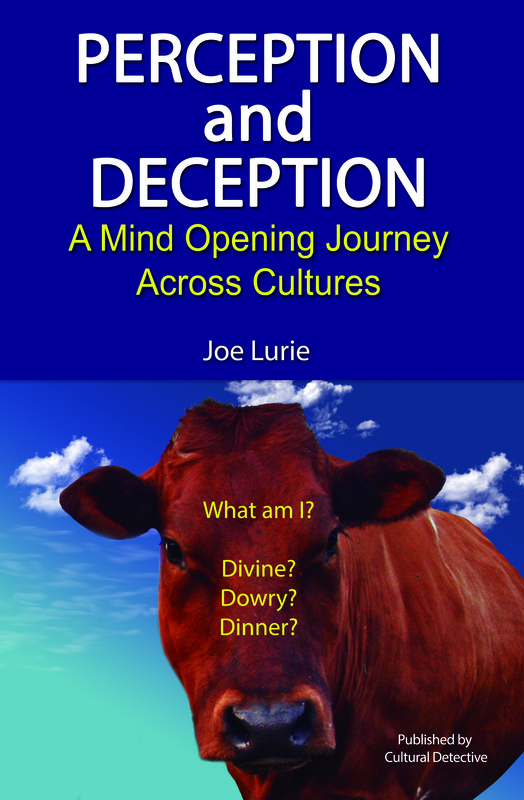 The book, Perception and Deception: A Mind Opening Journey Across Cultures, tells hundreds of stories like this one, in an effort to help the reader develop awareness and understanding, so they can then use Cultural Detective to build their skills and competence. If you haven’t yet read the book, be sure to order it now. Better yet, order a copy for Aunt Margret or your Cousin Vinny, too. I wrote the book because I think that in this age of globalization, more and more cultures are coming together in ways for which we are not prepared. We don’t understand the real intent behind behaviors, behind images, gestures, and how we use our voices. 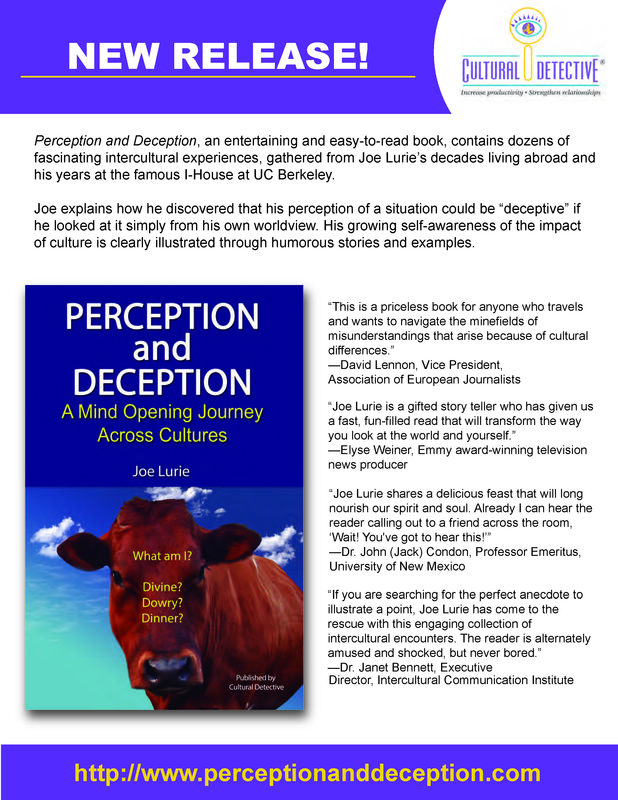 Perception and Deception‘s author, Joe Lurie, is born a storyteller. Most of his speaking engagements to promote the book have been sold out, including the one in the video below, taken at the Commonwealth Club of California. 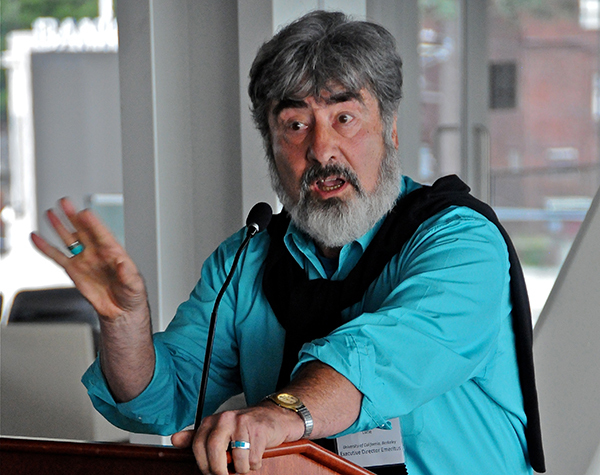 Over the next couple of months, I’ll share excerpts of Joe’s talk there. This first clip, below, is four minutes long, and in it Joe discusses the cultural disconnects in modern war zones. Perception and Deception is a great gift for anyone who would benefit from taking some time to reflect on what is really involved in communication across cultures, even or especially those who live and breathe it on a daily basis. Copies are available through Amazon.com or your local bookstore. Through more effective intercultural communication we can build justice, equity, respect, and collaboration in our world!